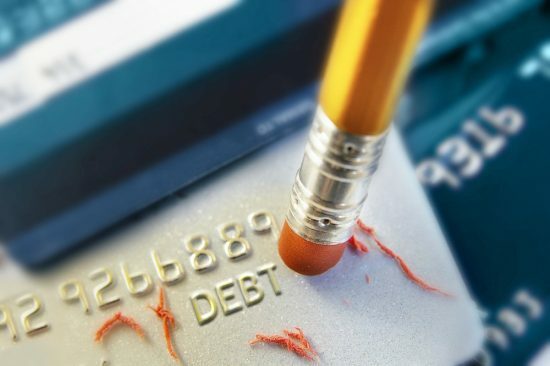 Paying off debt can be one of the most frustrating and rewarding financial journeys. 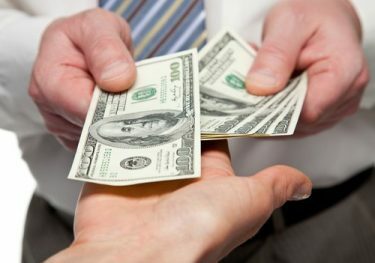 The process can also be grueling as you sacrifice to pay off your debt in a fast manner. That said, there is no feeling like being debt free. Unfortunately, the process of getting there can take longer than most people would like. My wife and I are a great example of what it takes to pay off a massive amount of debt. When we decided to pay off our debt, my wife had over $80,000 of student loan debt and I had over $10,000 left to pay off on a car loan. Paying off $90,000 seemed like it would take forever. Thankfully we were able to buckle down and pay off the debt in less than three years. If you’re struggling to stay motivated while paying off debt, here are a few things you can do. We used these tricks while working to pay down our debt. One of our most useful methods to stay motivated while paying off debt is getting an accountability partner. An accountability partner is someone you trust. You must be able to share all the details about your debt pay off journey with this person. Additionally, the person must be willing to help you as you will need your accountability partner to be great at keeping you motivated. Basically, once you find a person that agrees to help, you tell them about your debt pay off goals. You tell them how much debt you have to pay off and how fast you want to pay it off. Then, you ask your accountability partner to check in with you about your goal on a recurring basis. These check ins help keep you motivated because you’ll have someone else rooting for you to accomplish your goals, too. You probably won’t want to report bad results to this person, either, which is another great form of motivation. Thankfully, my wife and I had each other as accountability partners. In addition to each other, I had my blog readers as accountability partners, too. I did this by sharing monthly updates of how much debt we paid off as well as how much debt we had left to pay off. Readers would regularly comment on how we were doing, so I always felt we needed to try to pay off as much debt as possible each month. Even when you’re paying off massive amounts of debt, you should still be able to have at least a little bit of fun. For that reason, I strongly suggest setting aside a small amount of money for a fun budget. The amount you set aside will depending on how bad your debt problem is as well as how much income you have available to you. That said, it should be enough to have a small treat here and there to brighten up your day. Personally, my wife and I decided to set aside $50 per paycheck for fun money. It was enough to dine out, go see a movie or save for a larger purchase. If you don’t give yourself any fun money at all, you’re setting yourself up for burn out. Those small amounts of fun money can be just enough for you to look forward to and keep you motivated to pay off your debt. When you’re done, you’ll have much more money you can spend on fun, if you wish. If you have a massive amount of debt to repay, it may seem like it will take forever to achieve your goal of being debt free. Thankfully, there are plenty of opportunities to turn your journey into many small debt pay off victories along the way. We achieved many small victories when paying off my wife’s student loans. Our favorite victories were when we paid off one of her loans in full. We also noted the smaller benchmarks along the way, such as paying off an additional $1,000, $5,000 and even $10,000 of liabilities. If you don’t find a way to have small victories along the way, you’ll feel like you aren’t making progress toward your goal. In the beginning, progress will be slower as you have more interest to pay. However, as you pay off more principal, the interest payments should start decreasing. That will lead to paying off more of your loans each month. If you find the small victories, you’ll be more likely to stay motivated to reach the big victories later in your loan pay off journey. You can visualize this in many ways. You can make a paper ring chain where each $1,000 is a ring. When you pay off $1,000, remove a ring. Another way is using drawings. Break the drawing down into as many parts as necessary for your mini debt goals. When you achieve a mini goal, color in one part of your drawing. As you reach each small milestone, you should find a way to celebrate the victory. The problem with most celebrations people think of is they cost money. You should be using most of that money to pay down your debt. So, unless you feel like spending some of your fun money on celebrations, you’ll have to find a way to reward yourself with non-monetary awards. Of course, using your fun money for celebrations is a great use in my mind. Non-monetary awards don’t have to be anything extravagant. They can be as simple as taking a bike ride down your favorite trail or allowing yourself to binge watch your favorite TV series on a Saturday. Our favorite non-monetary award was a quick trip to our local beach. We only had to drive about 20 minutes, so we didn’t have to spend a ton of money on gas. We’d reflect on our accomplishment and the upcoming challenges as we watched the sunset over the Gulf of Mexico. The benefits give you something to look forward to when paying off your debt. Without them, it may be much more difficult to sacrifice that $20 you could have spent going out to dinner and instead put it toward paying down your loans. Our favorite motivator was thinking about what we would do with our loan payments after we were debt free. When you’re stuck paying over $700 per month in minimum payments on student loans, there are plenty of other things you could do with the money. We often dreamed of ways we could use the money to achieve our other goals and have fun. Most people think about how they’d spend that $700. They dream of fun vacations, dining out more often or even taking up an expensive hobby. Instead, we used the monthly debt payments to help fully fund a six month emergency fund after we paid off the student loan debt. It wasn’t a fun goal, but it helped us feel much more financially secure should anything bad happen, such as one of us losing our job. After our emergency fund was full, we spent a bit on vacations, invested a bit for retirement and incorporated the rest into our monthly budget to work toward our other goals. No matter how far away your debt free date is, you can always start planning for the big day. When you finish paying off your debt, you have every reason to celebrate. You can use your future celebration as a way to motivate you to pay off your debt faster. The number of ways you can celebrate are endless. Some people throw a big party at their home. Others prefer a more casual barbecue with friends and family. Personally, my wife and I decided to go on a cruise. While we couldn’t book the cruise until closer to our debt free date, we were able to figure out what ship we wanted to go on, what ports we wanted to visit and what we wanted to do when we were at each port. Planning the cruise helped us try to pay the debt off as fast as possible. No matter what you decide to do to celebrate your debt freedom, make sure you save up for the cost in advance. If you put the celebration on a credit card you can’t pay off, you just put yourself back in debt again. You know yourself best. Some of the above ideas will help motivate you to pay off your loans faster. Others may not work at all. It is up to you to choose which will work best for you. We used these methods to motivate us to pay off over $80,000 of student loan debt and my car loan. Clearly it worked for us. We paid off the loans in less than three years which allowed us to move on to other important financial milestones and have a bit of fun with our money. Debt can be conquered. Even though you may be discouraged along the way, don’t give up. You’ll be so much happier when you don’t have to worry about how you’ll pay the bank back.